Jackson Hole Wyoming is truly an amazing place to visit, live and work. Most people when they think about visiting Jackson Hole will tell you that they think about the majesty of the Teton Mountain Range, Grand Teton National Park, Yellowstone Park, the wildlife plus all of the amazing thermal activity found just north of town. Whitewater rafting, hiking, tram rides, fishing and of course eating at one of the many fine eateries Jackson has to offer. Truthfully Jackson Hole Wyoming is a magical place for those who love the outdoors and appreciate the finest that God has to offer. 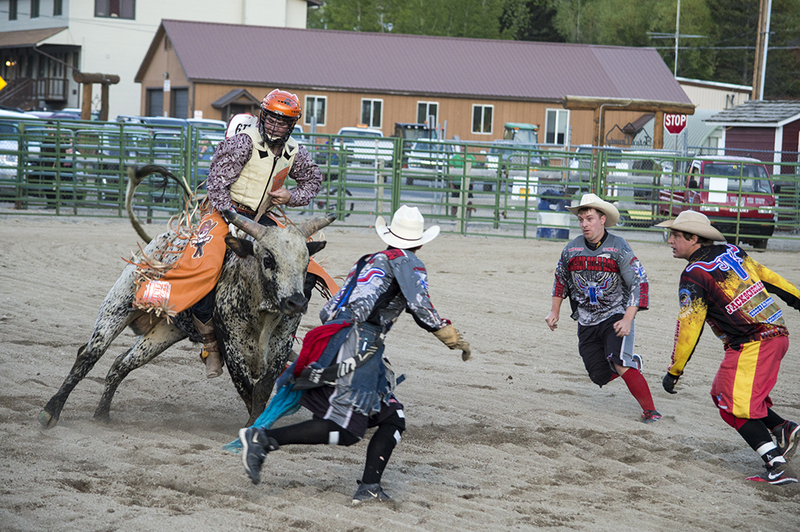 For those of you seeking a little taste of the old west while visiting Jackson Hole, set aside an evening and go to the Jackson Hole Rodeo. This is a truly an evening event worth spending time with your family. This is the real deal folks – for more than 100+ years the Jackson Hole Rodeo has been an integral part of Jackson Hole and the old west. 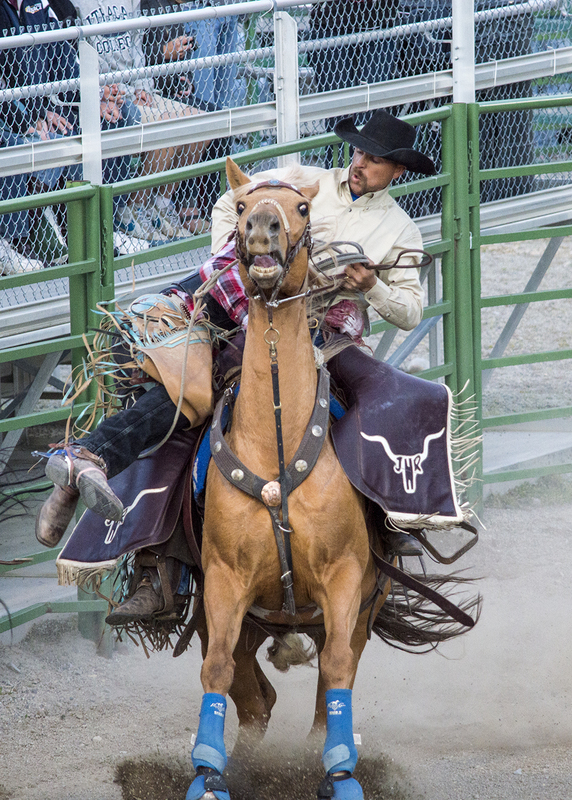 For 2+ hours the Wilson family (5th generations Jackson Hole) will entertain you with brave young men who attempt to master the backs of bulls and broncs, while mostly the girls take to the backs of their quickest horse for a shot at being the fastest around the barrels. If you have never been to a real rodeo you are in for a treat. 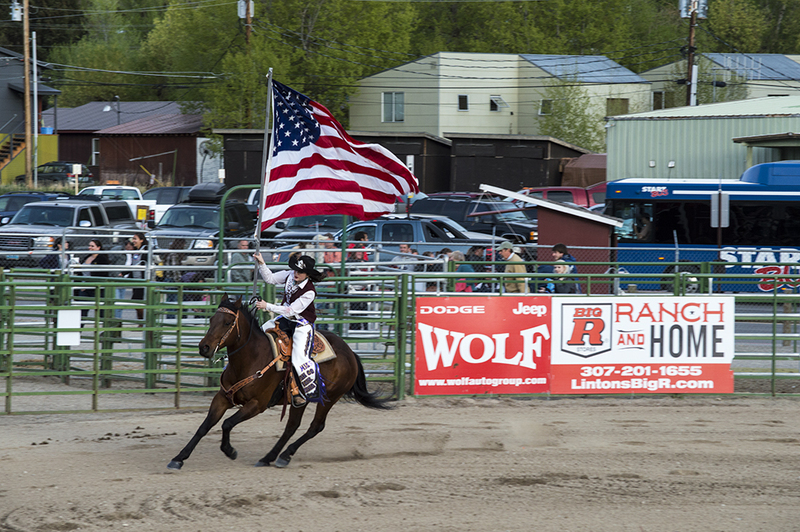 A real piece of Americana that will not only make you proud to be an American but the Jackson Hole Rodeo will keep you on the edge of your seat for the entire evening. But the real story that I find at the rodeo is not the spectacle that takes place within the arena but what takes place behind the bucking chutes. Boys and men of all ages getting prepared to take their shot at making the 8 second ride into glory. And I mean all ages! There are boys as young as 4 years old getting their first rides all the way up to men in their late 40’s. And that alone is amazing to me as this is really a young mans sport. Bravery comes in many forms but make no mistake, it takes a man with an incredible constitution to climb on the back of one of these very large and dangerous animals. Behind the chutes you will find these brave young men going through all kinds of rituals as they get ready for their rides. 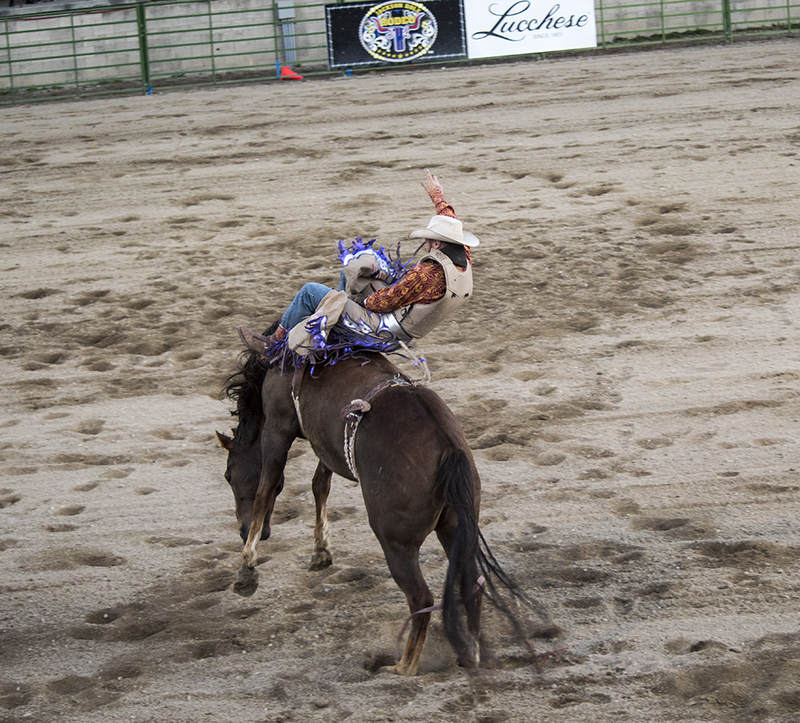 Some are jumping up and down trying to shake off their fears, others practice their ride by sitting on their bronc saddles while they lay on the floorboards of the chute area. Others walk around talking to themselves as if they are trying to convince one half of their other personality everything is ok while the other half is telling them NOT TO GO. These men, and I mean men, come from long distances and they pay a handsome fee to ride and compete for the best score. Most of them are clearly friends that come from the many ranches around the states of Idaho, Montana and of coarse, Wyoming. As you mingle behind the chutes and fade into the background you can watch these men prepare themselves both physically and mentally for their next ride. 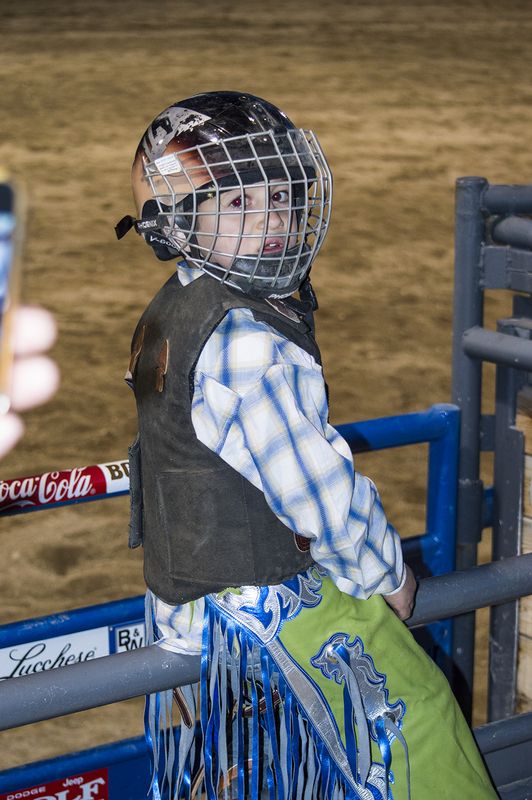 You can see the grit and determination, the desire, hunger, fear, concerns, the focus they seek preparing themselves for their upcoming turn in the chutes. They pat each other on the back, high fives, words of encouragement, a nervous chuckle and for some just a simple stare into the eyes of one of their close friends looking for that simple smirk of encouragement and support. There is only constant support for those who are about to ride. No, behind these chutes is no place for a weak man. Contrary to what many might think, these brave souls come in all shapes and sizes. young men with boyish faces, men with that expected cowboy look, men with scars, casts, slings, limps all giving testimony to earlier events. Many of them ride at least twice a week at this rodeo alone. When you are privileged to be part of this behind the chutes environment you gain a new respect for todays cowboys. They are a breath of fresh air in my opinion as they give testimony and carry on in the tradition of the old west and those men who came before them. Yes I say – go to the rodeo and I promise you that you will enjoy an event that will leave you with a certain sense pride that only comes with being an American. The rodeo arena is an exciting place to watch all this unfold. A place where America’s truly most original sport was born and 8 seconds of sheer terror takes place right in front of your eyes. Watch with amazement as each young man climbs onto the back of their bull, their bronc, their ride that will surely come. For these men who ride, ride for both themselves as much as they ride for your entertainment. To do this comes only with a passion that is ingrained in the cowboy tradition that still lives on today right here in Jackson Hole Wyoming. These young men and women come to this event with the strong need to participate in this American sport. And yes courage and honor exist right here behind the bucking chutes of American Rodeo.